Seven customer experience trends that are shaping the financial services landscape. Financial technology (fintech) companies are on a tear. In 2017, fintech firms raised $16.6 billion in financing—an amount considerably higher than the $3.8 billion raised just four years prior. However, piling on more functionality and features isn’t enough to win. 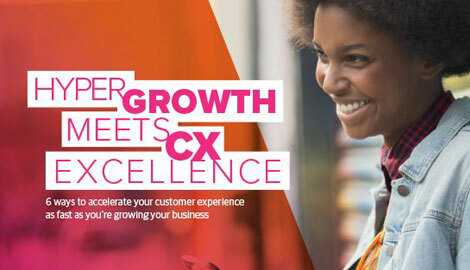 Companies also need a strong customer experience strategy to prove that they understand their customers’ challenges and expectations. Here are seven customer experience trends that are shaping the financial services landscape. Like other industries, financial services is enamored with the latest technologies, including artificial intelligence (AI), augmented reality (AR), and blockchain. But whereas businesses have largely taken a siloed approach to each new technology, customers expect seamless experiences across channels and devices. Banks have an opportunity to combine the latest technologies in new, customer-centric ways to provide better services. Some firms, such as USAA, are already taking this approach. “It will be less about a website or a mobile app as a destination and more about being where our members are and integrating with the technology around them, such as IoT and virtual assistants,” Melissa Ehresman, USAA’s AVP of bank digital experiences, told the tech blog Tearsheet. Expect more financial firms to look for opportunities to deliver individualized services at scale. Facebook found itself in the news recently following a report from the Wall Street Journal that the social media giant is urging banks to offer information, such as checking account balances and credit card transactions, on its messaging platform, Messenger. While Facebook clarified that the financial data would be used for customer service, such as to communicate with the bank through a chatbot, and not for advertising, it’s an example of how eager tech firms are to collaborate with banks. For Facebook, the ability to let users communicate with their banks (and extend the amount of time they spend on Facebook) carries obvious benefits. It’s not clear though how many banks have jumped at the offer. Facebook’s discussions with financial firms follow its admission that information about 87 million users was improperly obtained by another organization. But this brings up the next trend. Financial startups Venmo (now owned by PayPal) and Acorns recently unveiled separate debit cards with compelling features. The Venmo debit card lets owners split purchases with friends and can be enabled/disabled from the Venmo app. Acorns’ debit card automatically rounds up the amount of a purchase and deposits the extra cents in an investment account. The debit cards are the result of partnerships that Venmo and Acorns have struck with banks, giving the digital-first firms a foothold in physical branches. Banks must think critically about the partnerships they form, but they can’t take too long as non-banking firms gain more access to banking relationships. Amazon is already making small-business loans and competing against prepaid card issuers, reports American Banker. And Walmart reportedly selected Capital One as its new primary credit card partner to gain broader banking capabilities. This is another reminder that banks can’t take their customers for granted and should be looking for opportunities to create more value before their competitors do. Today, voice-enabled virtual assistants like Alexa and Google Home are mostly used for basic tasks, such as checking the weather or answering simple questions. However, consumers are beginning to use their virtual assistants services, such as banking. More than one out of five (21 percent) of people who own a voice-activated virtual assistant are using it to shop, pay bills, bank online, or send money, according to a recent survey conducted by Mastercard and Mercator. What’s more, a survey by Bain & Co. found that respondents ranked Amazon and PayPal nearly as high as banks in levels of customer trust. And more than 25 percent said they would consider using “voice-controlled assistants for their everyday banking.” Given that Amazon dominates the voice-enabled speaker market, it’s crucial that banks develop a presence in this market with superior customer experiences. As virtual assistants usher in new banking habits and ways to interact, banks should focus on developing Alexa skills based on the functionalities customers want. It can be tempting to automate and digitize as many banking interactions as possible, but research shows this is the wrong approach. For routine transactions, consumers prefer digital channels, but they give higher Net Promoter Scores to companies that allow customers to speak with a representative to resolve a problem, reports Bain & Co. In fact, 83 percent of consumers prefer dealing with a person versus a digital channel to resolve customer services issues, according to an Accenture study. Emotional intelligence, in other words, plays an important role in the customer experience. Banks can earn greater loyalty by making routine interactions convenient and frictionless, and providing a high-touch service experience during stressful situations. A survey by Label Insight on transparency ROI revealed that 78 percent of consumers are more likely to trust brands that they consider transparent. What makes a brand transparent can be a matter of opinion, but as the aforementioned Bain & Co. survey shows, perceptions are important. As more competitors like Amazon enter the financial services space with strong reputations and an established customer base, even large banks will have to reexamine their own brand equity. The competition for customer loyalty in financial services won’t be decided on technology alone. Customers are looking for options, control, and transparency in their banking relationships. The question is whether a conventional bank, a new financial services player, or a combination of both will find the right balance of technology and the human touch.